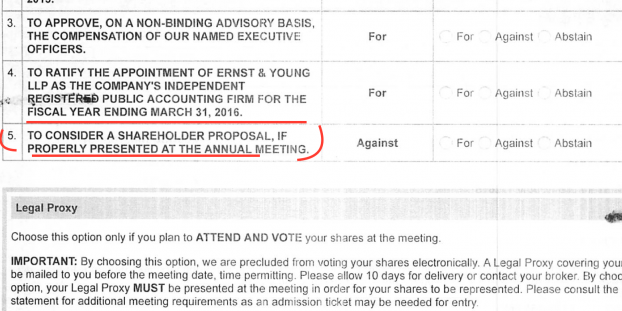 Most companies opposing a shareholder proposal simply rely on an opposition statement, although sometimes they solicit the votes of their largest shareowners. 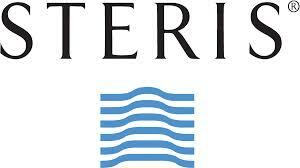 Steris Corporation (NYSE:STE) took it a bit further. Was it cheating? That depends on your perspective. Like a partially inflated football, a partially stuffed ballot can provide the crucial margin needed to win. Their opposition statement is bad enough in confusing shareholders with its focus on outstanding shares, rather than the actual votes cast in elections, as stated in the proposal. However, the real kicker was how the proposal was described on the proxy ballot (Steris 2015 proxy ballot, pdf). shall identify clearly and impartially each separate matter intended to be acted upon… whether proposed by the registrant or by security holders. 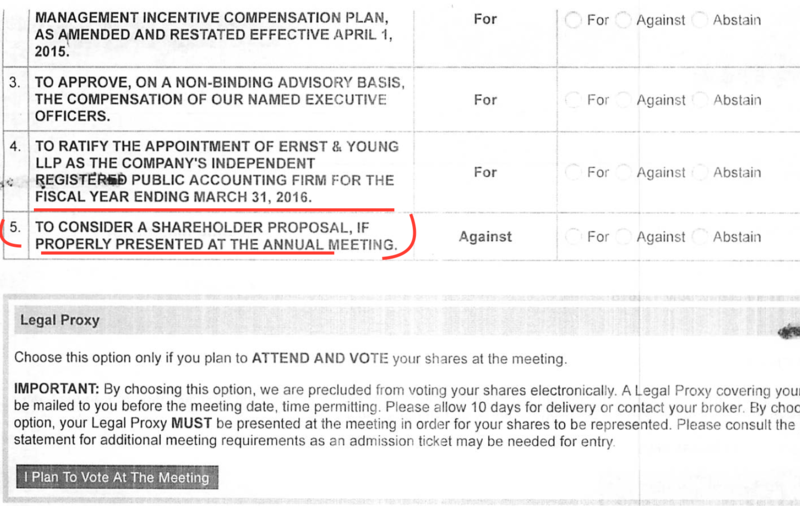 Most shareowners are not going to read through all 65 pages of the proxy. Many won’t even go to page 12 to find out what the proposal is about. Instead, they may just leave that vote blank. If they do, after voting on any other item, their vote will be counted as ‘against.’ This is a very underhanded way to try to defeat a legally authorized shareholder proposal. The SEC lets companies get away with such behavior. Regulations safeguarding proxies were promulgated back when most shareowners held stock in their own name. Shares held in “street name,” the name of a broker or bank, now constitute about 80% of all shares and are voted using a “voter information form” (VIF). Companies and their agents claim that rules safeguarding proxies don’t apply to voter information forms… so the rules protecting proxies only cover 20% of the votes. Despite the deceptive proxy ballot, our simple majority proposal won: 40,346,310 in favor versus 9,337,093 votes against. (see 8-K) Now it is up to the board. Will they ignore the will of the vast majority? More than five years ago a number of investors and academics petitioned the SEC to amend the rules to prohibit blank votes from going to management and to enforce provisions requiring that ballots be labeled clearly and impartially. Nothing has been done to correct the situation. Deflation-gate will apparently continue with no coverage by the press. Corporate elections just aren’t seen as important as football games. Yet, those elections decide who will run our companies, what policies they will follow… and may even help determine who gets elected to Congress, as President, etc. since their is no limit on how much money they can contribute to help elect public officials and no required disclosure of such spending. Please send e-mails in support of the petition to [email protected]. The public is encouraged to submit comments on proposed rules. Here your options. All submissions should refer to File Number 4-583. This file number should be included on the subject line if e-mail is used and that is the method I recommend. To avoid duplication or work at the SEC, use only one method. The Commission will post all comments on petitions on the Commission’s Internet website. Comments are also available in the Commission’s Public Reference Room, 100 F Street, NE, Washington, DC, 20549, on official business days between the hours of 10:00 am and 3:00 pm. I am an individual investor concerned with fairness in corporate elections. I write in support the petition to amend Rule 14a-4(b)(1) to prohibit conferring discretionary authority to issuers with respect to non-votes on the voter information form and to enforce proxy rules on the use of voter information forms.